Regular readers will know we've been keeping tabs on the long-running saga of the EU's Galileo satellite navigation system and its on-off relationship with reality. So it's surprising to hear that it may end up working with, rather than against, the US GPS network. According to Reuters , not only will the publicly funded Galileo network definitely go ahead on schedule in 2010, it will also work in tandem with an enhanced version of GPS to provide more accurate navigation. An agreement to facilitate the collaboration is, apparently, imminent, with the two satellite networks due to relay information to Earth on the same radio frequency. 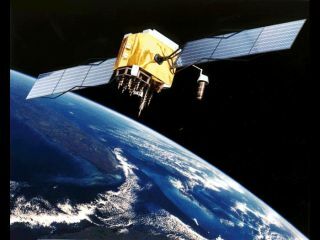 This will allow navigation systems to receive and combine data from both GPS and Galileo, making for greater accuracy. Raymond Clore, a US State Department adviser, explained that satnav receivers that can communicate with just one network are likely to disappear before long. "It just doesn't make sense to limit yourself to just one system," he said. If both networks do end up combining, it's clear that the urban GPS blackspots any satnav user is familiar with will soon be a thing of the past.